16 years ago Mi-Corporation pioneered data capture on tablets and coined the term “mobile data collection”. Ever since Mi-Corporation has been providing the technology which allows the Testing, Inspection and Certification industry to mobilize and automate their mission-critical data capture and related processes. Mi-Corporation’s Mobile Impact Platform provides a rich and powerful toolset that allows organizations to custom build flexible solutions that improve workforce efficiencies, increase productivity, reduce costs and increase profits. You will find our solutions deployed across a diverse industry base and in use at organizations like Transport for London, Security Alarm, Bureau Veritas, the NC Department of Agriculture, the United Nations, The US Dept. of Transportation, and many others. In addition, Mi-Corporation is the proud recipient of many prestigious industry awards including a 2015 and 2016 Microsoft Partner of the Year Award for our work in the Public Sector. Dr. Greg Clary holds eleven U.S. patents related to mobile data capture and has additional patents pending. Prior to co-founding Mi-Corporation, he was with the IBM T.J. Watson Research Center working on handwriting recognition and pen input systems. Results of the work were published by IEEE, and the IBM handwriting recognition product was recognized with industry awards. One of the novel pen input systems of the IBM team became the CrossPad from the A.T. Cross Pen Computing Group. He previously served as President of Epiteleo, Inc., a North Carolina developer of handwriting-based electronic personal information management software and handwriting-based electronic messaging software. Dr. Clary has been active in leading the development of Mi-Corporation’s Mi-Forms since the product’s inception. His research interests include statistical pattern recognition, image processing, and the design of flexible and scalable enterprise information systems. He holds the B.S.E. and the M.S.E.E. degrees from Duke University and the Ph.D. in Computer Science from the University of North Carolina at Chapel Hill. Chris DiPierro is Chief Technology Officer with more than 12 years experience developing enterprise-level mobile computing solutions. Mr. DiPierro leads a technical team in the development of Mi-Corporation's flagship Designer, Client, and Server software products for mobile electronic data capture. Mr. DiPierro holds four patents in the area of handwriting recognition and the processing of handwritten data. Additionally, he oversees Mi-Corporation's CFR 21 Part 11 validation efforts that enable Mi-Forms use in the highly regulated clinical research and pharmaceutical industries. He joined Mi-Corporation in 2000 and previously managed a technical team at IBM. Mr. DiPierro holds a B.S. in Computer Science from the University of Maryland. Jim Clary brings more than 30 years of computer software and hardware experience to Mi-Co. Prior to co-founding the company, Clary served as Vice President of Electronics and Systems for the Research Triangle Institute - a research and development organization providing technical services for technology commercialization, decision support, education and training, environment, health and pharmaceuticals to meet enterprise and government needs. At RTI, Clary was responsible for five P&L centers with a total staff of over 135 people. Before becoming a VP of RTI, Clary founded and headed the Digital Systems Research Department for the identification, development and implementation of digital systems. He also held prior positions at AT&T Bell Telephone Laboratories, Applied Science Associates, Inc., and as a 1st Lt. in the Avionics Laboratory of the US Army Electronics Command. Clary holds a Bachelors and Masters degree in Electrical Engineering from Clemson University and has completed all Ph.D. course work in Electrical Engineering at Duke University. In addition, Clary has attended various management training courses at the MIT Sloan School of Management, UNC-Chapel Hill's Kenan-Flagler School of Business and The Center for Creative Leadership in Greensboro, NC. G. Kinsey Roper, III is the Founder and Managing Partner of Glenbrook Hills Capital LLC, a lower middle market private equity firm focusing on the Southeast and Mid-Atlantic regions. In addition, he is a Co-Founder and Partner of Sustainable Community Partners, LLC. Prior to this, Mr. Roper was a Partner and Managing Director at Cherokee Investment Partners LLC, a Raleigh, North Carolina-based multi-fund private equity firm managing over $2 billion in assets. Prior to joining Cherokee in 2005, he was the Co-Founder and Managing Partner of Brighton Partners LLC, an Atlanta, Georgia-based private equity firm. Mr. Roper began his career in commercial lending with the Chemical Bank in New York. Since 1984, he has held Principal/Partner positions with several private equity firms including Ruddick Investment Company and North Riverside Ventures. In addition, Mr. Roper was an Executive Vice President with BellSouth Corporation where he led strategic planning and corporate development for BellSouth International and BellSouth Wireless in the 1990's. In addition to Mi-Co, Mr. Roper serves on the board of Create Your Dreams and the advisory board of Holocene, LLC and Friends of Cliff Asbury. Mr. Roper received a Bachelor of Arts from the University of North Carolina-Chapel Hill where he was a Morehead Scholar. Mr. Welton has over 27 years of experience as an information technology professional. 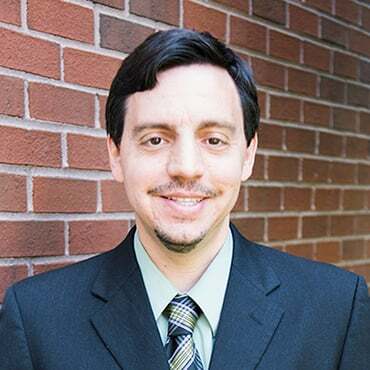 Upon receiving his bachelor’s degree in education from East Carolina University, Mr. Welton taught school for two years before entering the information technology industry. He joined Hospital Data Center of Virginia as a member of the technical staff providing business and medical systems to 10 to 15 hospitals in Virginia and North Carolina. He then served as product manager and marketing and sales manager for SATCOM, a developer of manufacturing and distribution software. Mr. Welton worked the next 16 years with Metro Information Services as marketing director and division director. He also supported the growth of new offices throughout the southeast, and he founded the Raleigh, NC regional office. John Mazzarino is Co-Founder and Managing Principal of Cherokee Investment Partners, a private equity real estate investment manager focused on the acquisition, remediation, management and development of brownfields in North America and Europe. Cherokee has raised four funds with aggregate commitments exceeding $2 billion. 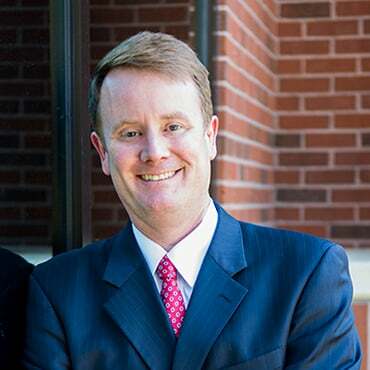 John is also Co-Founder of Cherokee Ventures, a venture and middle market private equity investor, Cherokee Renewables, a brownfield solar investor, Cherokee Tower, a cell tower company, and Brownfield Revitalization, a three times New Markets Tax Credits allocatee. His responsibilities include strategy, capital raising, investor relations and investment management. Prior to forming Cherokee John was a Manager with Bain & Company in Boston, MA. He serves as Chairman of Hometown America, an owner of manufactured housing communities, and is a director of Cherokee Gives Back, Cherokee’s philanthropic arm, and the North Carolina Opera. 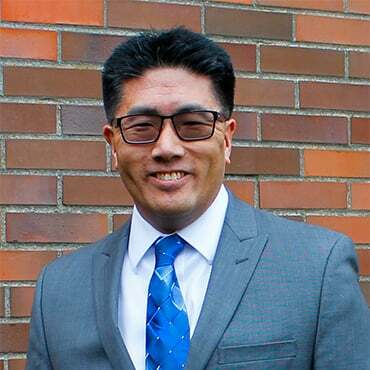 John received a BA in mathematics from Colgate University where he was a member of Phi Beta Kappa, and an MS in management from MIT’s Sloan School of Management. The Mi-Corporation support team has consistently provided quick and efficient solutions for issues at CDP, Inc. The continued dedication the support team provides to their customers acts as a cornerstone to their business model. After doing away with the cumbersome and inefficient paper-based sales processes, we have virtually eliminated impediments to superior customer service. The sales order processing provided through the mobile forms platform and software offered by Mi-Corporation has empowered us to dramatically reduce process cycle time, improve communication between departments, and provide top-notch customer service grounded by accuracy and efficiency. Missing or incorrect data is by and large a thing of the past as we can now mandate entry of key information into digital forms. We couldn't direct attention, highlight blank fields or ask CRCs to confirm suspect data on traditional paper forms, but we can in a robust computerized system like the one we have built around the tablet PCs. Not only did Mi-Corporation have all the necessary tools our group needed and then some, but the solution was very user friendly. To top it off, the staff has been nothing short of impressive with how they continuously help with any questions, concerns and updates at a moment's notice. I could not be any happier with this product and company. Using Mi-Forms mobile forms software on tablets, we now operate with a much more streamlined process and are able to generate better revenue streams as a result of readily available registration and license information. It's not just about the money. The speed, the time, the accuracy, that kind of thing is improving - and it's just a much cleaner system. We searched for years for an electronic patient records solution that would work for our highly specialized needs, and there was nothing pre-package on the market that fit. We were thrilled to find Mi-Forms since it allowed for highly flexible data capture on tablet PCs that we could use chair-side in the field, and we received unprecedented support from Mi-Corporation in tailoring the mobile forms technology to our very specific requirements. We have never been so confident in the data and reporting that is now resulting from our outreach programs. I highly recommend Mi-Corporation to those in need of Mobile Data Capture and mobile forms. Our paper forms process included a confused layout, took too long to fill out, and we were in constant fear of losing copies. We wound up really loving Mi-Forms for the flexibility it provided in building our mobile forms and how it integrated with our ERP solution seamlessly. Mi-Corporation helped us reduce data entry by over 74% and experience massive ROI. We have also reduced invoicing time from 1.5 weeks to just 1 minute after the parts are signed for by our customers' drivers. All the information we need is right there in the Replicator Module - and it's updated each night. The SQLite database has put the exact data field we want at our fingertips, wherever we go. Overall, Mi-Corporation's solution has helped us to improve our process and produce a higher quality output, and our field employees appreciate it. 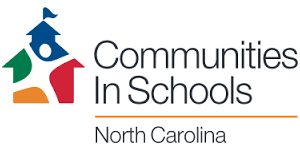 Communities in Schools of Wake County connects students with community resources and educational opportunities to help them succees in school and life. Mi-Corporation has supported their efforts by providing resources and sponsoring CIS of Wake County as the User Day/PartnerEd Community Connection since 2003. The Walk for Hope is the annual event for the Foundation for Hope for the research and treatment of mental illness. 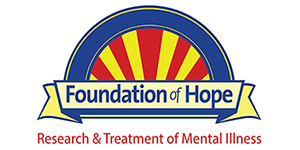 The mission of the Foundation of Hope is to promote scientific research aimed at discovering the causes and potential cures for mental illness in order to develop a more effective means of treatment. In 2006, the Mi-Corporation team joined in the fund raising efforts and contributed time, energy and funds to this worthwhile community program. 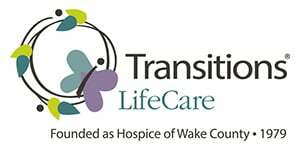 Mi-Corporation won third place in the Go-Kart races to benefit Hospice of Wake County (now known as Transitions LifeCare). We had a great time, didn't get run over, didn't lose our helmets (did we, Danielle?! ), and mostly stayed on the track. Congratulations to Danielle McNeillie, Jack Armstrong, Adam Duggan, and Chris DiPierro - the reigning champions! Mi-Corporation participated in the MS Walks in April on both the East and West coasts with walkers in Seattle, Washington and Research Triangle Park, NC.The Mi-Corporation walkers raised over $500.00 to contribute to the fight against MS. The money raised from this year's walk will fund research into the cause, treatment and cure for multiple sclerosis and local programming for people with MS and their families in our community. Barrett Joyner, Former Sr. VP of Marketing and Strategic Sales, was one of the special "Red Carpet" guests at the Triangle event. Thanks for all you do, Barrett! 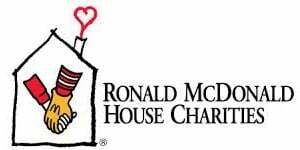 The Ronald McDonald House of Durham allows families to focus on the health and wellbeing of their critically ill children by keeping families together who are in need of a community of hope, comfort and empathy. Critically ill children stay at the House while being treated at Duke Children’s Hospital and several other surrounding medical facilities. The House serves up to 55 families a night. Mi-Corporation is pleased to support RMHD and our team enjoys volunteering to serve dinner to the residents and families. 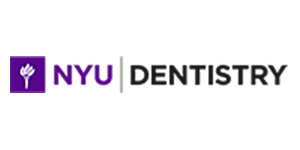 The NYUCD Henry Schein Cares Global Student Outreach Program provides oral health services and education to tens of thousands of underserved people in the United States and several international locations each year. The goals of the program are threefold: service, education, and research. Mi-Corporation is proud to support NYUCD HSCGSO and equally proud to call them a valued customer. 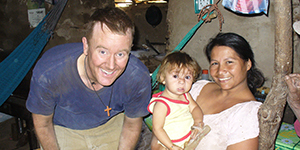 Mi-Corporation CEO Greg Clary started travelling to Southern Honduras in 2009 and has a passion for helping the people there. There are numerous opportunities to serve with groups such as Sharefish, Mercy and Grace Ministries, and North Carolina Baptist Men. Home construction, library and community center creation, and child sponsorship opportunities are available through these and other organizations.